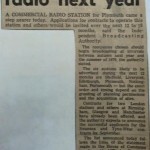 A HUGE thank you to Gordon Sparks for wading through endless microfiche records to find some golden moments from Plymouth Sound Radio’s past, as they were captured by the local newspapers. 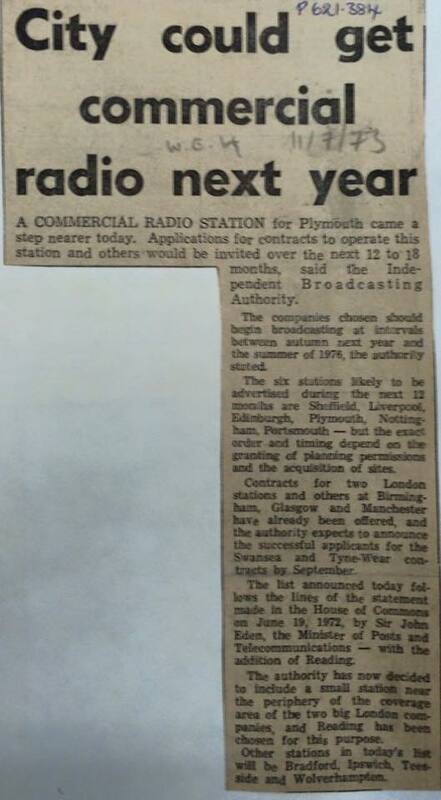 I wasn’t sure where to begin, so I’m taking a leaf out of Julie Andrews’ book and starting at the very beginning…actually not just the beginning but BEFORE Plymouth Sound Radio was even born. 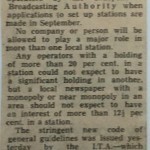 That means going back to 1972/1973 when the decision was made to grant a licence for Plymouth and invite interested parties to apply. It’s interesting to see just how serious a process this was and how awareness and a commitment to social responsibility were important aspects in choosing the successful applicant. Not that it stopped being a serious process after the 70s, but it felt like the emphasis on criteria for applicants changed. 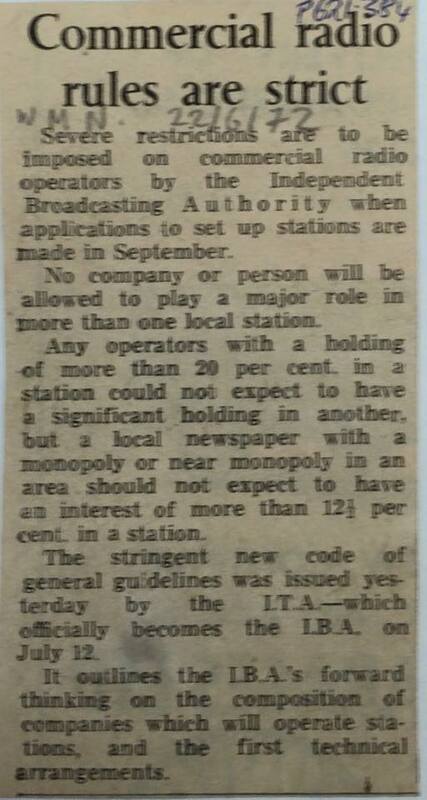 I suppose you wouldn’t expect any less for one of the earliest commercial local radio stations. 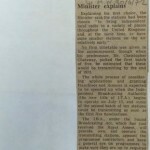 Some of the copies of the newspaper clippings are a little fuzzy but you should still be able to make out what was written. There’s some delightfully higgledy-piggledy typesetting in the Plymouth Times article. ← Remember Dave and Kerry? I was on the design team of Plymouth Sound and was responsible for the studio equipment, broad design, contacting suppliers and final testing. During this time I worked very closely with Bob Hussell, visiting other radio stations etc and sitting on the on the original board. In order to proceed with the lenience we had to convince the licensing authority and I can remember attending the licensing board consultation. The acoustic treatment was done in conjunction with an ex-BBC colleague of mine who did the original design of the Albert Hall ‘Flying Saucers’. Hi David, Thanks for posting your comment – are you able to join us on the 16th for the anniversary event?